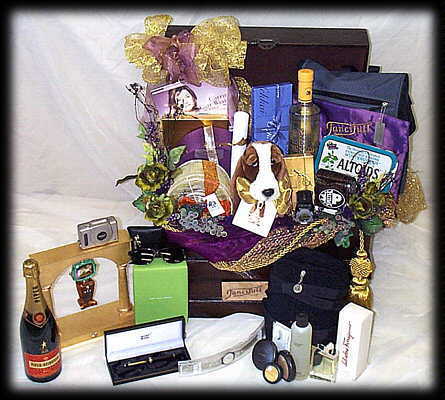 The Emmy Treasure Chest was given to all the award presenters at The Emmy Awards in September, 1999. Hush Puppies, Kodak, Godiva, Ray-Ban, Salvatore Ferragamo, Swatch, Carrie Wiatt, Origins, The Sak, Select Comfort, Altoids, Peet's Coffee & Tea and FanciFull of Hollywood. The Emmy gift project was produced by Sequoia Productions.